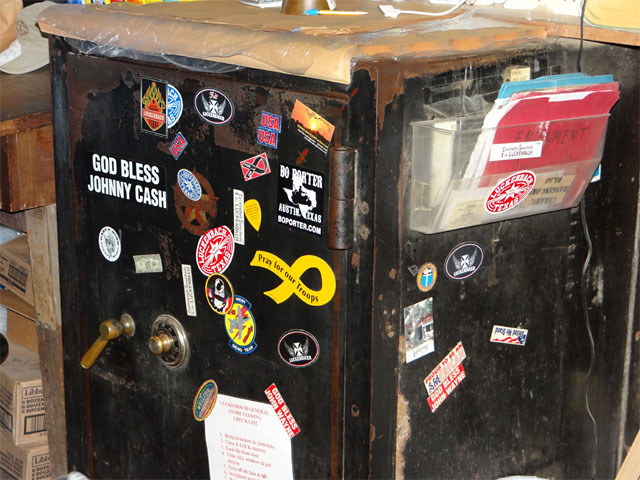 Luckenbach is a fun find. 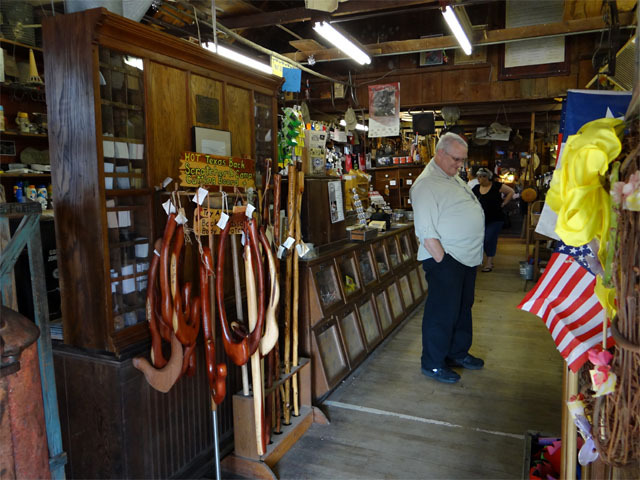 Located in the heart of Texas Hill Country, this once-thriving German community is 13 miles from its county seat and a few miles south from U.S. 290. The community is roughly between Fredericksburg and Johnson City (think: L.B.J.-family Johnson), and there are a handful of photogenic post office buildings in the area. 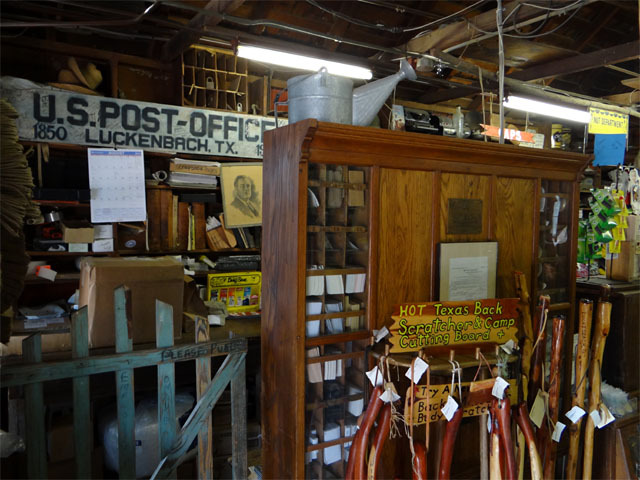 Luckenbach's own post office operated between 1850 and 1971. 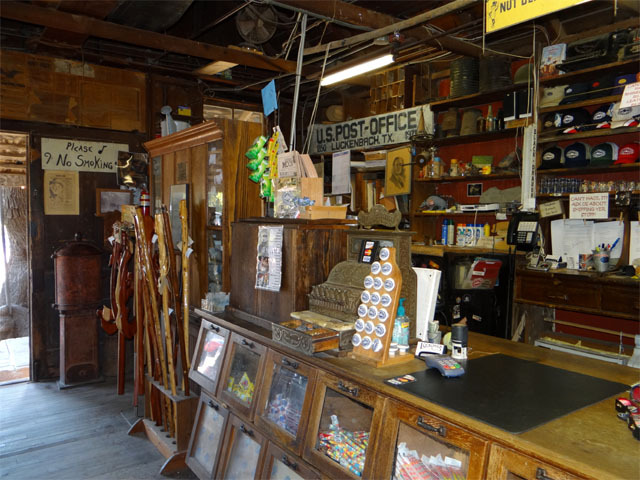 Though it's been closed for 35 years, the remnants of the town's general store and post office (not to mention Luckenbach itself) continue to draw tourists from all around. In addition to the commemorative signage outside, the building still houses its old post office sign inside, as well as its general delivery boxes and even the old safe. For those who ask they even have a commemorative "postmark" that you can stamp items with. One interesting thing that's easy to overlook is a strip of tape on the floor of the building. It served as the dividing line between postal property and the rest of the general floor facility. Patrons had to be sure not to bring any alcohol across the line onto the postal side. This gentleman is on the general store side of the tape. 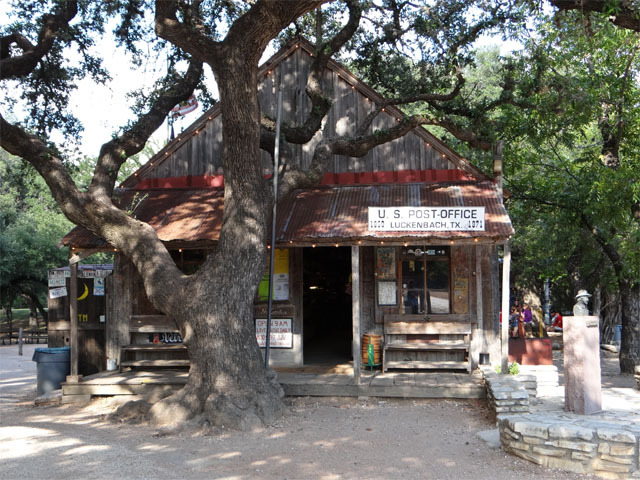 Visit the official Luckenbach website here! It's a nice place with friendly folks. And a fun postal find.